What good is it when you offer amazing services but nobody knows you exist? A blog is like a giant magnet drawing people to your site. Blog content can be distributed all over the web, making it easier for people to discover your services. Base your content on the core keywords and topics related to your business – this will improve search engine rankings for search terms related to your business. Share your blog content on social media sites like Facebook. Re use your blogs. Offer to write guest blog posts on relevant external blogs. Does your local visitor centre or Tourist board have a blog? Perhaps there is a online magazine for your type of tour or activity. Contact them and offer to write some blog content for them. Humans are naturally social beings – we’re successful because of our advanced ability to communicate. A blog enables you to communicate with potential and returning customers on a far greater scale than ever before. It is an immensely powerful tool for building meaningful relationships with prospects and customers. You might have the best prices, but if you’ve got a bad reputation it won’t count for much. Brand reputation has enormous influence on buyer decisions. Quality blog content can help you to build authority and establish a reputation as an industry leader. Humans have been sharing knowledge & ideas through stories from the very beginning. Stories always have and always will, resonate with people. Every business has a story behind it and having a blog gives you the opportunity to tell yours. 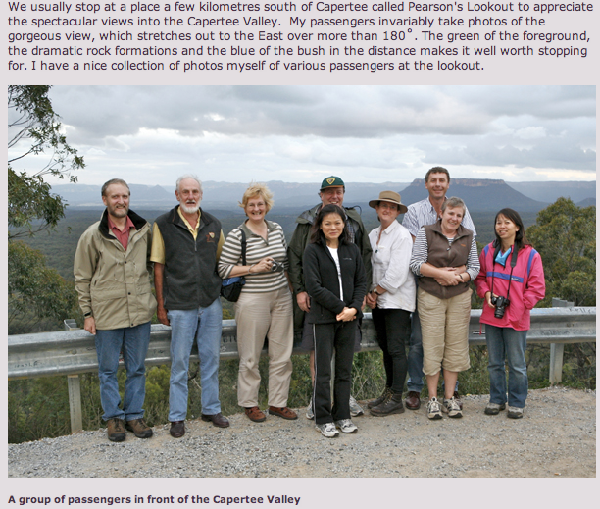 An example of a tour company that has committed to blogging is Aussie Farmstay & Bush Adventures. They’ve written a collection of engaging posts on relevant topics, including both informative and personalised content. Their efforts have been rewarded with great search engine rankings, with their website appearing on the front page of Google for various keyword phrases. However, one area that could be improved is their online booking system (or lack thereof). We’ve already explained how an online reservation system can reap great benefits, but they’re certainly not alone in that regard. Blogging doesn’t have to be scary and time consuming. Remember, you are writing about something you love; share your passion and enthusiam! It only has to be 400-800 words, you’re not writing a novel! None of your readers expect you to be writing the next literary masterpiece, don’t overthink it. Be yourself. Set aside the same spot in your diary every week to write a blog. Publish every week without fail. Make it part of your routine. Do you think better in the mornings over your first coffee or at the end of day over a glass of red wine? Keep a notebook handy, or add a note into your smartphone to jot down ideas as and when they come to you. How many of you blog regularly? What are your biggest challenges when it comes to blogging?